Liberals may not be able to pass a law through Congress that takes away our Second Amendment rights, but that just means they’re going to approach gun control from a different direction. A subsidiary of Visa, a key Obama campaign donor, that specializes in credit card transactions has abruptly stopped servicing the nation’s largest gun store after four years because the store sells guns, a fact the owners never hid. 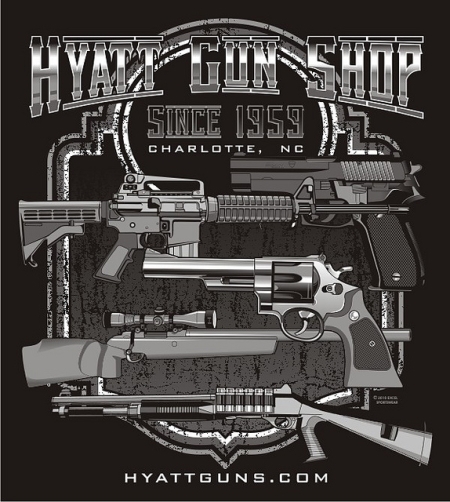 The company email said that gun sales violated a section of the service agreement the two signed over four years ago and after Hyatt went into detail about its sales and products — and name. “We’ve never seen anything like this,” said Justin Anderson, Hyatt’s marketing director. He said it took a week and thousands of dollars to line up a “gun friendly” credit card processor for online sales. The brushoff of Hyatt’s business has sparked a national boycott effort against Authorize.net and parent company CyberSource organized by the website Grass Roots North Carolina. “It looks like the small but noisy anti-gun crowd has gotten to what must be a jelly-spined PR department at CyberSource and Authorize.Net. Either that, or leadership at these companies have simply become anti-gun all on their own,” said the website in announcing the boycott. Anderson suspects that the company, purchased by Visa in 2010, got cold feet dealing with a leading gun seller and he said that he’s heard of other gun stores being dropped. The company had no immediate comment. If you can’t make guns illegal, then you have the government buy so many bullets that it causes ammo shortages while trying to cut off the funding for gun shops. Is that a practical strategy? Will it work? Doubtful. As long as people want bullets, someone will keep making them. As long as gun shops are profitable, someone will loan them the money. As long as the American people still believe in the 2nd Amendment and demand their rights, the Left will not win.